I love this world Ms. Robb has created. I love the family she has formed and the relationships they have with each other. That being said there wasn't a lot of that in this story. There wasn't as much humor as there is normally, which is a drawback. 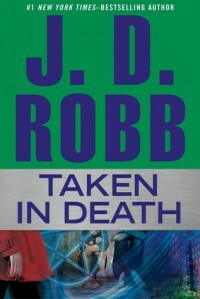 I chalk the deficiency up to this being one of the in death mini books. There wasn't time to go into any of the in depth character she usually uses. The rest of the story felt a little like running on a treadmill, productive and still you don't end up going anywhere. Hansel and Gretel has never been one of my favorites. I think it might come from the concept which consists of potential cannibalism of children. Go figure. I did like Robb's version of the kids and how smart they were though.